This feature allows Mystro to accept a trip on one rideshare app and not switch off the other rideshare app until the passenger has entered the car (start trip) on the first rideshare app. 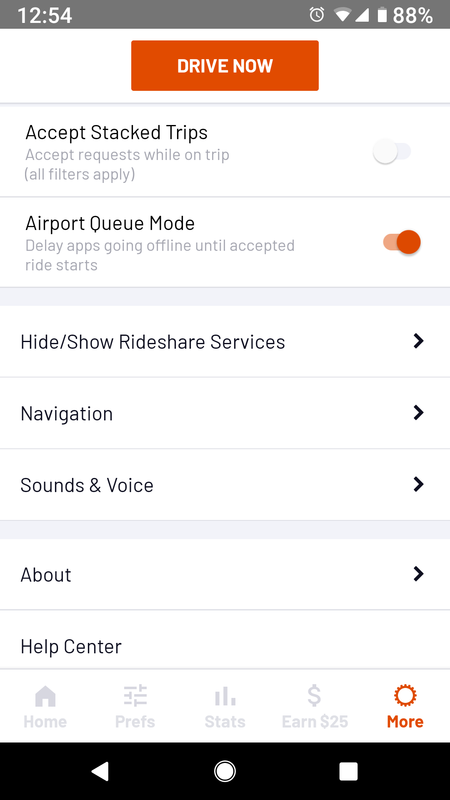 In the event, a ride request comes in on the second app (Lyft) while on the way to pick up the initial passenger (Uber) Mystro will not auto-accept this request. Please note that this will affect your acceptance rate, but enabling this option is useful for certain situations such as the airport queue.